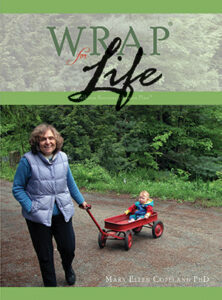 WRAP is not just a time period in your life, it is a lifestyle. 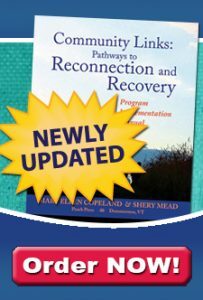 Once you have been through a WRAP program, or the process of developing a Wellness Recovery Action Plan using Peer Support, your lifestyle will change and you may find that you are feeling healthier and happier. Sally feels that the way she sees herself in the world and beliefs about herself get in the way of using her WRAP, things like not valuing herself and telling herself things like “I am not worth it, I don’t deserve it, I am not a valuable person, and I don’t deserve to be alive.” She says that she finds herself thinking that WRAP is not going to work anyway, none of this is going to help, and she’s not worth it. This is where Peer Support comes in. Sometimes the negative things we believe about ourselves are hard to change. Sally wishes she felt that she was OK with whoever she is. 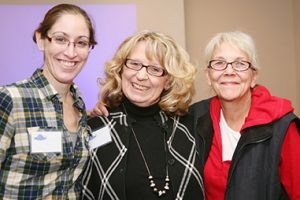 She believes that this change can happen in a relationship, that a really strong connection with another person, the kinds of connections you have in Peer Support, can do it. 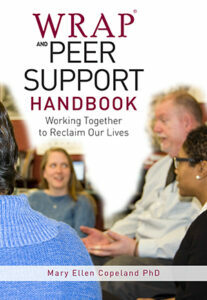 You and your peers will discover many things that keep you from using WRAP and Peer Support. However, there are many strategies that others have used, strategies that work successfully, so that you can learn together and move forward in your lives. 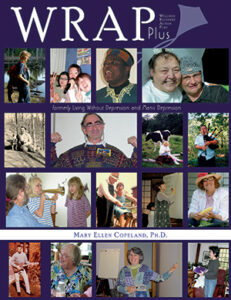 Some of the many options of things you can do to support Living WRAP are described in this chapter. There is not significance to the order. Use the strategies that work for you. You and your peer supporters may discover others.